Japan formally asked its neighbor on Nov. 6 to begin bilateral consultations over the subsidies but assumes there will be no resolution, after which Tokyo would likely ask the WTO to adjudicate. The move comes amid rising tensions between the two countries over historical issues, including the treatment of South Koreans by Japanese companies during World War II. The shipbuilding row did not just surface overnight. Tokyo questioned the subsidies as early as November 2015. Since then, Japan has urged South Korea numerous times to resolve the issue, but to no avail. Now, after three years, the formal request for bilateral talks officially launches procedures that will likely end up with the dispute being resolved by the WTO. 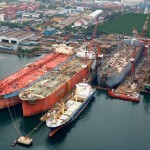 According to Japan’s transport ministry, there are a number of problems with South Korea’s aid for its shipbuilders in general, and Daewoo in particular. First, government-affiliated financial institutions — including Korea Development Bank — have poured roughly $10 billion into Daewoo after its failed foray into offshore energy. 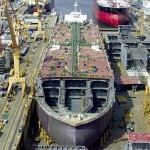 Then there has been a credit scheme specifically designed to help Daewoo Shipbuilding win new orders. 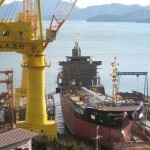 Japanese shipbuilders fully support their government’s actions. “We want unfair aid by the South Korean government to end immediately,” said Yasuhiko Kato, chairman of the Shipbuilders’ Association of Japan. Ship prices declined after peaking shortly before the global financial crisis in 2008. According to a survey by U.K.-based Clarksons Research Services, average prices for very large crude carriers sank to $81.5 million in 2017 from $105 million in 2010. They have since recovered to $91 million as of the end of September. The South Korean government denies any wrongdoing, claiming that banks and others have propped up Daewoo of their own accord. The dispute is an example of how government efforts to keep struggling companies afloat often produce less than desirable outcomes. 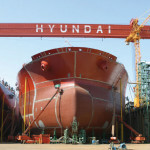 Japan has twice experienced the pitfalls of interfering with the shipbuilding market. Between 1978 and 1980, then again between 1987 and 1988, overcapacity was a serious issue. To try and help, the government restricted capacity of domestic shipbuilders across the board without taking into account each company’s strengths and business performance. 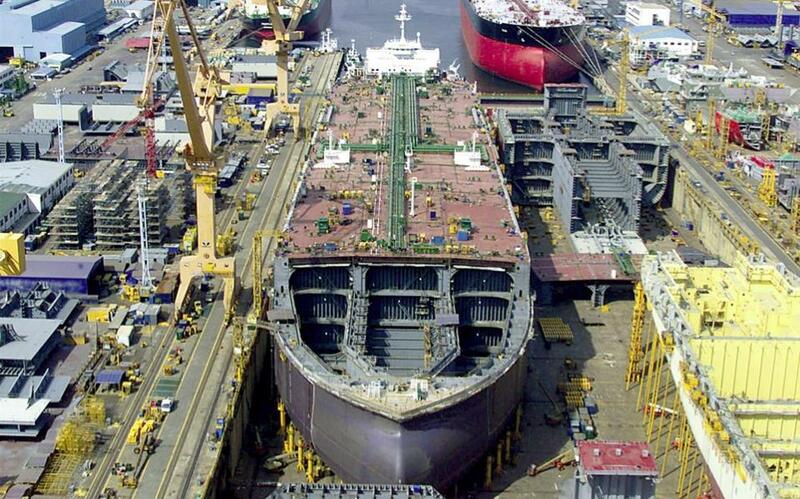 This allowed weaker shipbuilders to survive, but at the expense of stronger players. If the government had kept to itself, the industry would have experienced a period of consolidation and a shakeout of underperformers. 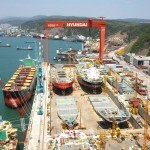 This would have strengthened the industry, allowing it to survive challenges from up-and-coming South Korean and Chinese shipbuilders, who have since eclipsed their Japanese counterparts.